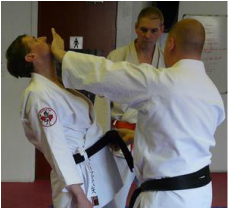 Offering martial arts instruction to Ottawa since 1997! Karate is one of the most exciting martial arts in the world and Toshikai will help you attain a greater degree of fitness, discipline, self defense and weapon proficiency. The form of Karate taught at Toshikai is Isshinryu a newer style which was developed in the 1950’s and brought to North America by marines who had been stationed in Japan. 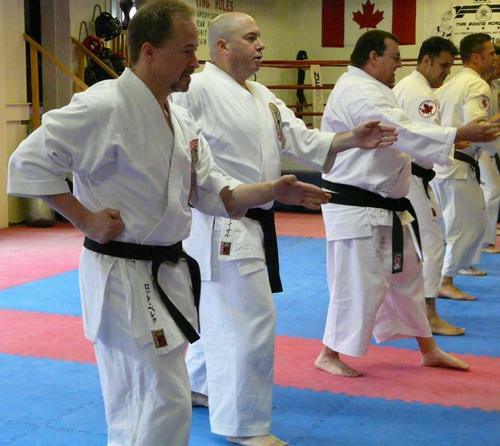 Our multiple Ottawa Karate Dojos will offer you the opportunity to train with 14 black belts, ranging from 1st to 6th degree. If you're looking to lose weight and attaining a greater degree of fitness then cardio kickboxing is a great option for you. Toshikai’s cardio kickboxing classes are non-contact and utilize heavy bags and timing balls. Through the use of Karate techniques and interval training, Toshikai’s cardio kickboxing will push you to your limit and offer you a rewarding way to attain your fitness goals. Toshikai’s self defense classes use Karate fundamentals to teach students how to protect themselves. The best form of self defense is to avoid conflict altogether, but sometimes that is not an option. Toshikai’s self defense classes will help you develop a martial arts base that you can apply in real world situations. Self defense training is offered through hands-on seminars; great for a company bonding experience!